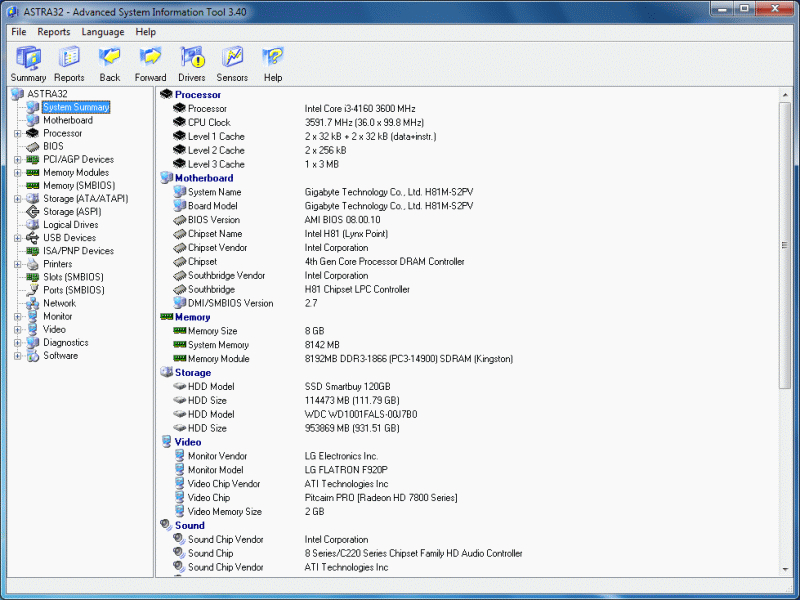 ASTRA32 - Advanced System Information Tool 3.04 - Download Win Apps. Fast and complete analysis of your computer hardware and software. ASTRA32 is an ideal solution for providing comprehensive information about your computer hardware and software. Not only does ASTRA32 provide a detailed analysis of your system, it also offers diagnostics and comes with some powerful features such as Drivers Troubleshooter and quick HDD Health Status checker. It obtains data directly from hardware so it is very accurate.